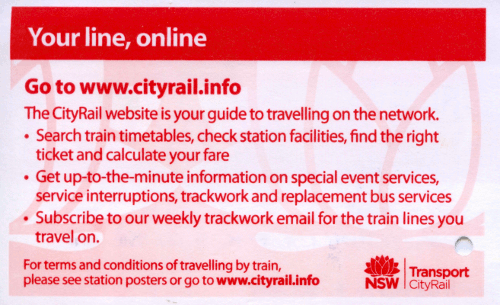 I've decided whenever I recieve one of Sydney's CityRail new information-laden tickets, I will impart their knowledge here so we may all learn from them. Your line, online. Oh you ;). Older post → WordPress memory lane, and time to move on?